Focus on Google for search results; the other search engines will follow suit over time. Review your website for keyword placement and density (keyword/total word ratio); you won’t be found if the keywords are not present in the proper configuration (i.e. there are requirements for the number of keywords used in different parts of the code that creates the page). Update your website frequently; stale sites drop fast and fresh information keeps your site sticky (viewers stay and return). Present clear calls-to-action; give your visitor a reason to respond. 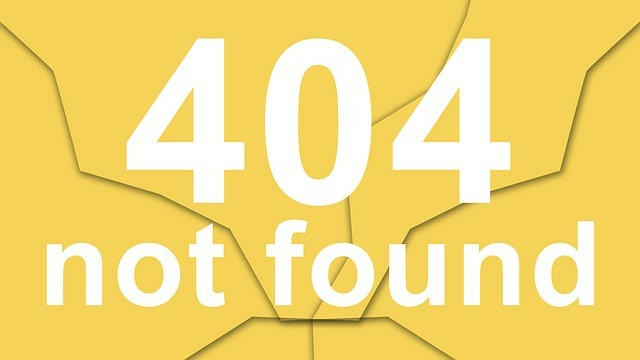 Validate your web pages for error-free code; Google will downgrade poorly constructed websites. Content must be relevant to both the website and the web page. Avoid Flash content and frames pages; these websites cannot be reliably indexed. Obtain inbound links from relevant, high-profile websites with good PageRank. Create multiple points-of-presence (e.g., blogs, article publication, activity at forums, social media), where you can get as many positive messages out as possible, pushing the negative messages down on a search engine results page. Monitor your results constantly and adapt quickly based on the results. Since anybody can publish anything online, protecting your brand is more critical than ever. One or two bad reviews wield more power than ever by influencing potential customers and colleagues. Damage control in the form of (ORM) needs to be one of your top priorities. Online reputation management is monitoring your company’s web presence across the internet. It means watching competitors’ websites, keeping up to date on social media mentions, and monitoring what is said about you through the search engines. The gist of ORM is to keep negative content about you, your company and/or brand from popping up on the World Wide Web. Though it sounds tasking, ORM requires little time as long as it’s conducted routinely. To get started, follow a few easy steps to keep your online rep clean. People who want to ruin your reputation—such as disgruntled ex-employees or angry customers — may go to unthinkable lengths to do so. However, if you try to anticipate their moves, you give yourself an advantage. For example, it’s a good idea to buy domains similar to your primary one. But your slanderers might buy domains that defame you, such as johndoefails.com. Of course, if you buy these first, no one else can claim them. ORM is just as much about creating new content as it is countering existing content. First, you need to discover complaints before you post a rebuttal. Start by creating a Google alert. An example for our company would be VA Mortgage Center.com complaint, and variations of that. Once you know where the content is, you may appropriately defend yourself. Getting loyal customers to write testimonials is a great strategy. There’s no harm in asking customers for their support via positive reviews on websites such as Yelp. Though that Google alert will help, it’s a search confined only to Google’s servers. Scavenging the rest of the information superhighway means manually searching certain terms on Yahoo!, Bing, AltaVista and Dogpile. Branch out, and try different phrases that include your name/brand/company. Now that you know what you’re up against, it’s time to produce content. Blogs are a great, inexpensive method of publishing content. From there, you can share what you’ve done on social networking sites. Don’t get too carried away in your work by boasting excessively, but highlight some recent accomplishments. Consider making your work a weekly or bi-monthly piece that covers everything you or your company has done. Remember, ORM is about proving that you’re a professional in your field and keeping that image squeaky clean. Who is Responsible for your Organisation's Online Reputation?